Chris CunninghamConsidering how busy they were leading up to and around the release of their 2010 debut album The Fool – five Toronto shows in the span of 18 months, for example – it was eminently understandable that Los Angeles’ Warpaint would want to take some time off before getting back at it. But three years is quite long enough, thanks, so news of their second album is welcome indeed. The record will be called Warpaint, but don’t look for any title track as the song “Warpaint” already showed up on The Fool, though I suppose there’s no rule that you can’t write more than one song of the same name. 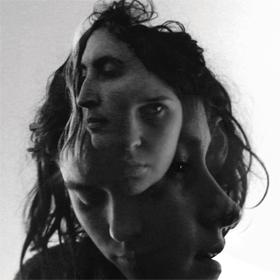 Hell, they could call every song on the album “Warpaint” if they like, so long as they’re as reality-bendingly mesmerizing as everything they’ve done so far, and from the first new song that’s been made available to stream – definitively not called “Warpaint” – they will be. Pitchfork has details on the album – co-produced by the band and Flood and mixed by Flood and Nigel Godrich – which is out January 21 in the new year, while The Fly talked to drummer Stella Mozgawa about how the sessions went. In addition to the new song stream, there’s a trailer for something of the same name – the song, the album, a video, a documentary, it’s not clear – by director Chris Cunningham, who documented the band at work over the last two years. Clash and The Irish Examiner talk to Midlake v2.0, who are streaming their new album Antiphon at NPR ahead of its official release on November 5. PopDose talks to Tanya Donelly about her Swan Song Series of EPs, of which there are currently three volumes with a fourth on schedule for release in the next week or so. Under The Radar interviews Sebadoh, coming to town for a show at The Horseshoe on November 8. Albert Hammond Jr talks to Rolling Stone and Washington Square News about matters both solo and Strokes; he’s here in the former context at The Phoenix on November 10. Brooklyn’s Beach Fossils have made a date at The Horseshoe for November 17 in support of their new album Clash The Truth, from which they’ve just released a new vid. Tickets for that are $14.50 in advance. Spin is streaming another song from the Beachwood Sparks issue of their previously unreleased debut album Desert Skies, coming November 20. Le Blogotheque has posted a Take-Away Show with Charles Bradley, who returns to town for a show at The Kool Haus on December 12. Stereogum checks in with Dee Dee of Dum Dum Girls about how their next record is coming along; it should be out early next year. Rolling Stone talks to Josh Tillman about the next Father John Misty record. Rolling Stone has premiered the new video from Okkervil River’s The Silver Gymnasium and Spin has a second video for a remix of the same song done by Will Sheff’s Lovestreams alter ego – you can also download said remix. There’s also an interview at The Province and over at Gawker, Sheff has penned a tribute to the late Lou Reed. Also with a Reed eulogy worth reading is Dean Wareham over at Salon; Wareham opened up for the Velvet Underground reunion in the ’90s while fronting Luna. Drowned In Sound interviews of Montreal. Under The Radar has posted an interview with Neko Case as well as an extra piece chock full of bonus material.